Andrea Zittel — Textfield, Inc. This publication examines the spaces, nations, and communities created by artists or indivuals to develop alternative modes of living. Throughout history individuals have continuously developed systems based on a mix of reality, fiction, and mediatization, create micro-nations, or fight for their existence. All these proposals are simultaneously real and utopic. By inventing identity signs (IDs, flags, constitutions, currencies, etc. ), by practicing their beliefs (be it through dance, naturism, terrorism, or collectivism), and by working on the boundaries of reality (parallel worlds, isolationism, new territories, etc. ), these proposals are challenging our definitions of normalcy and territoriality. 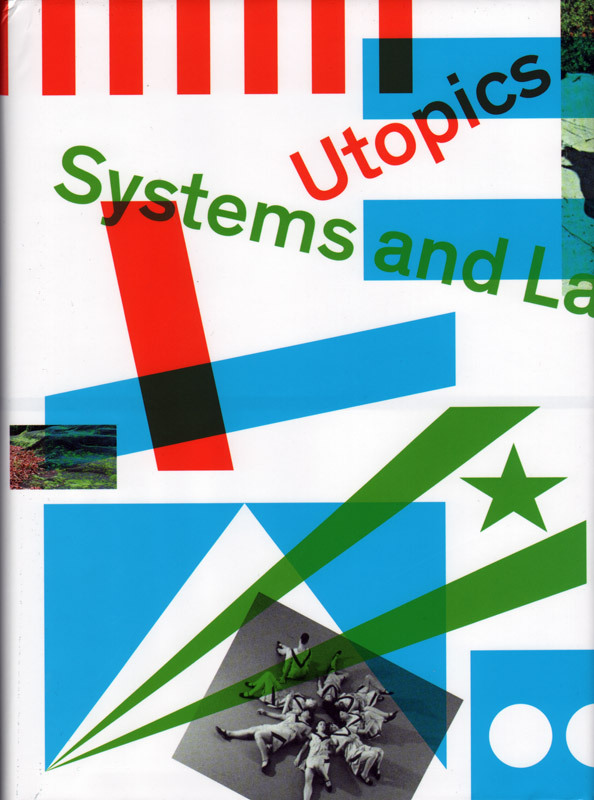 The title Utopics is itself the free contraction of utopias, you, topic, topos, and pics. Conceived as a glossary, the book includes artists such as Le Bélier, Carsten Höller, Clemens von Wedemeyer, Fabrice Gygi, General Idea, Lang/Baumann, Matt Mullican, Mai-Thu Perret, NSK (Irwin), Peter Coffin, Steiner & Lenzlinger, Superflex, as well as intitiatives such as La République Géniale (Robert Filliou), State of Sabotage (Robert Jelinek), micro-nations, L’Ecole de Stéphanie, etc.